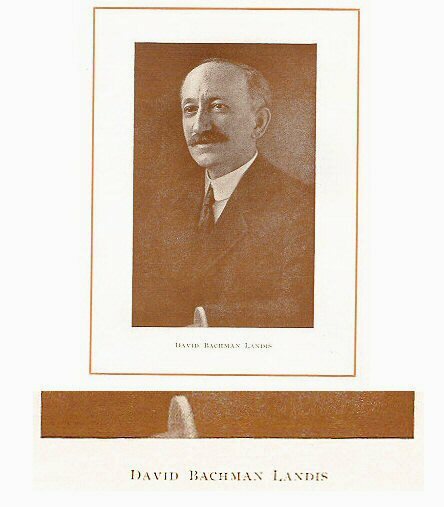 The Black Art: D. B. Landis Prints his Masterpiece: His Book "Lancaster Lyrics"
D. B. Landis Prints his Masterpiece: His Book "Lancaster Lyrics"
In 1914, at age 52, D. B. Landis printed and published his greatest work: his beautifully-crafted book of poetry Lancaster Lyrics. This book is a showcase of Landis's poetry about the pleasures and pains of life in Lancaster County. Landis began writing poetry when he was a schoolboy in Landisville, where he wrote with the pen-name "Davy Derby." (Above) In 1891, when David was 29 years old, his two young childred died of diptheria, one day apart. A few months later he wrote these poems in their memory. 23 years later he printed the poems in his book Lancaster Lyrics. David's favorite pleasures were photography and bicycling. He pedalled up and down Lancaster's back roads to capture fleeting images of our rural landscapes and early architecture. He printed these images as screened halftone prints in his Lancaster Lyrics. The life of D. B. Landis is a celebration of his Pennsylvania German (Pennsylvania Dutch) heritage. David was the leading historian of his family's Mennonite ancestry. 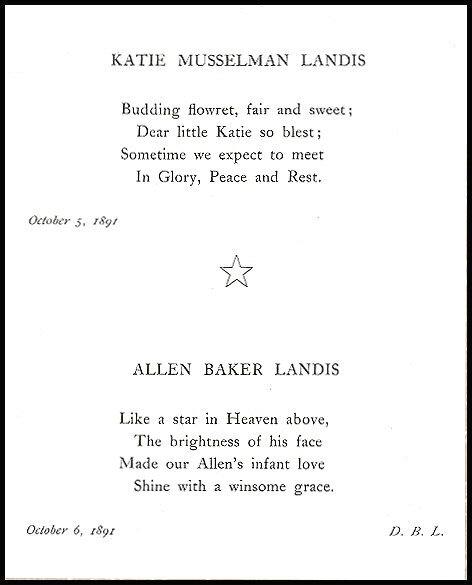 (In 1888, at age 26, he authored and published his family's genealogy: The Landis Family of Lancaster County.) He was the eighth generation of Landises in this county. David was bilingual. He spoke both English and the Pennsylvania German dialect. He printed poems in both languages. 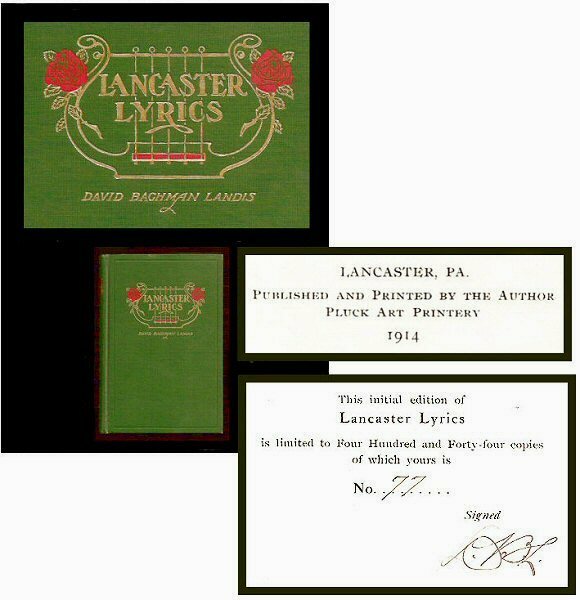 Lancaster Lyrics also includes David's poems that are sort-of his Dutchified poems. These affectionate poems capture in ink the thick Germanic accents of his countrified relatives and neighbors. David wrote Dot Belly! (That Belly!) 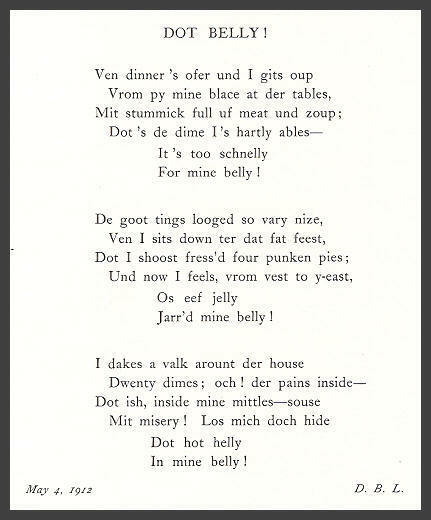 in 1912, and printed it two years later in his Lancaster Lyrics book.